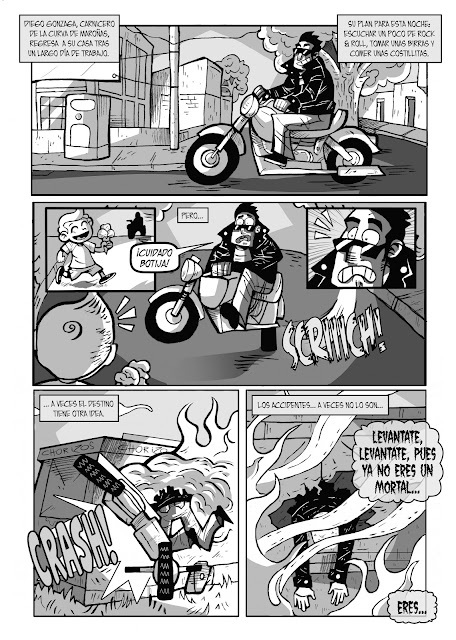 Chori Rider - Primera Brasa is a 3-page comic, published on GAS3K.3, an uruguayn comics publication with several contributors and which you can check out here. 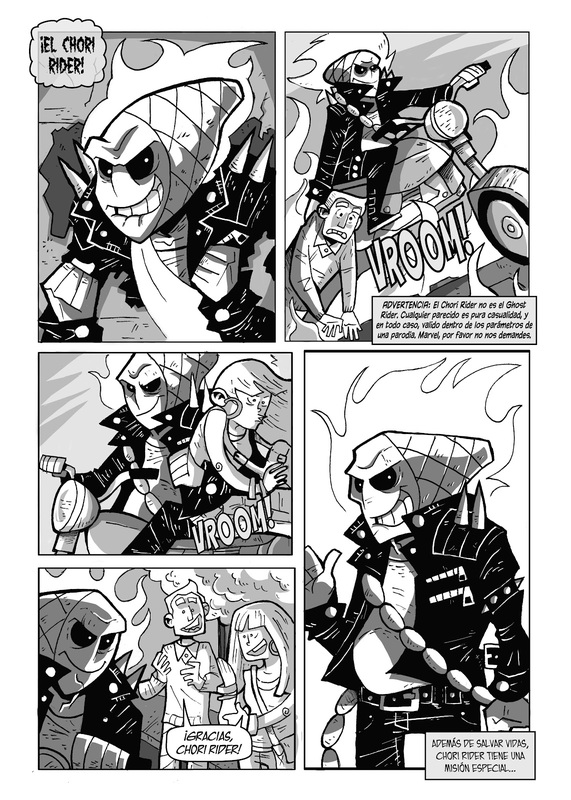 This short comic focuses on the origin of the Chori Rider, a character in which any similarity to other flame-headed bikers is purely coincidental. Chori fights for the right to letting each person eat what they want freely, without pressure or propaganda from the opposing side. It's a light hearted story and a funny character. The comic was scripted by my friend Magnus Von Tesla, I drew it and my boyfriend Pedro Carvalho did a great work with the grey tones. I'll color this as soon as I have the time. It'll also be available in english soon. 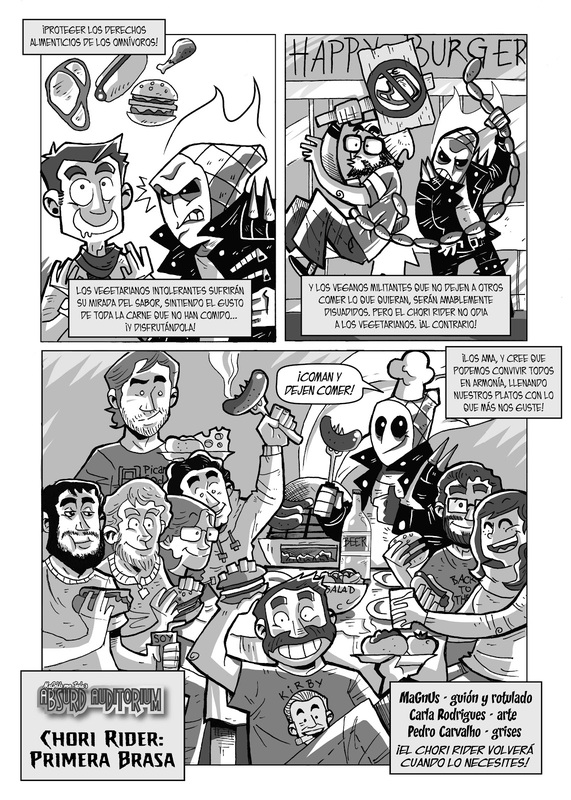 curto especialmente a "foto de família"